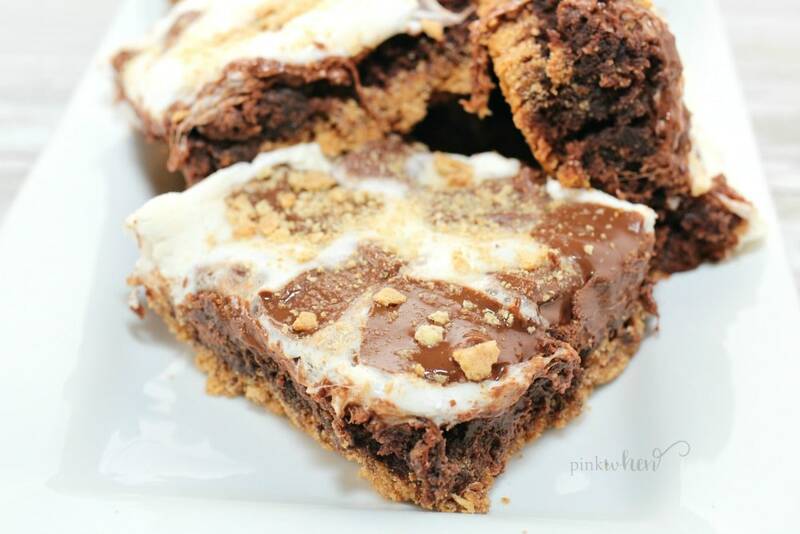 This Smores brownie recipe really is the best brownie recipe, and it’s also super easy! If you love a good chocolate, fudgy, s’mores brownie, you will love this easy brownie recipe I am sharing today. I don’t know about you, but I am a sucker for a brownie. If I am looking for a good fudge flavored cake like snack, this is my go to recipe. Not only that, but we are making this easy brownie recipe a s’more brownie. It’s like the best of both worlds have just collided into one delicious snack. 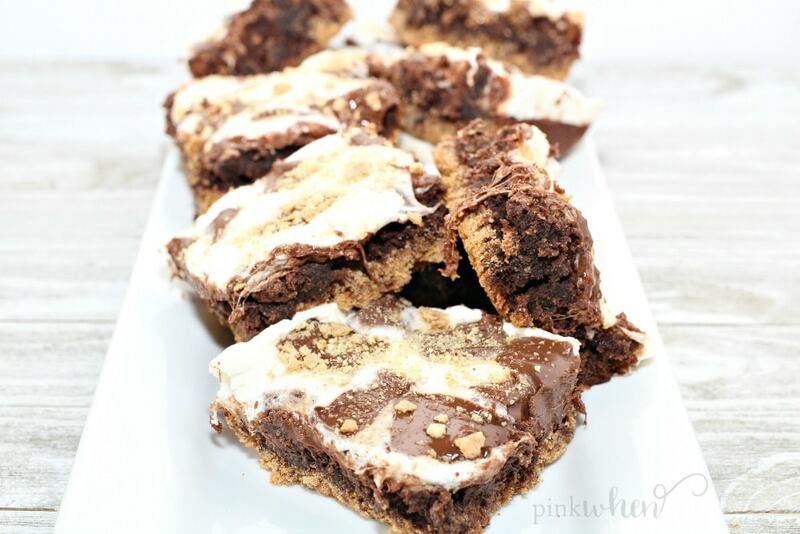 Have you ever had S’mores brownies before? One of my favorite summer snacks to make for the kids are S’mores desserts. From my favorite S’more Cakes to a simple S’mores skillet dip, S’mores recipes are all just super delicious. That’s why I decided it was time to have two of my favorite desserts mix into one. I may be a little one sided, but I honestly think this is the world’s best brownie recipe. Taking two of my favorite snacks and combining them into one is just world changing for my taste buds. You won’t ever want another brownie again when you add all of this flavor to this one little dessert. It’s also super easy! To make this easy brownie recipe, all you need is to grab one of your favorite boxed brownie mixes, graham crackers, mini marshmallows, crushed graham crackers, and your favorite chocolate bars. Everything comes together really quickly, and that’s what makes this such an easy brownie recipe. Don’t get me wrong. I love a good recipe that you can make from scratch, but this recipe calls for a box mix to make things quick and easy. If you don’t like box mixes, consider grabbing one of your favorite homemade brownie recipes. With 4 kids, grabbing a box mix just makes life much more simple for me. I love this S mores Brownie recipe because it really is one of the easiest brownie recipes, and in the Summer I am all about easy recipes. It’s a fun snack to have with movie night, or just because. You don’t need an excuse to make these delicious brownies, just do it! Invite some friends and share, or keep these delicious brownies all to yourself! Follow along below for this easy brownie recipe. 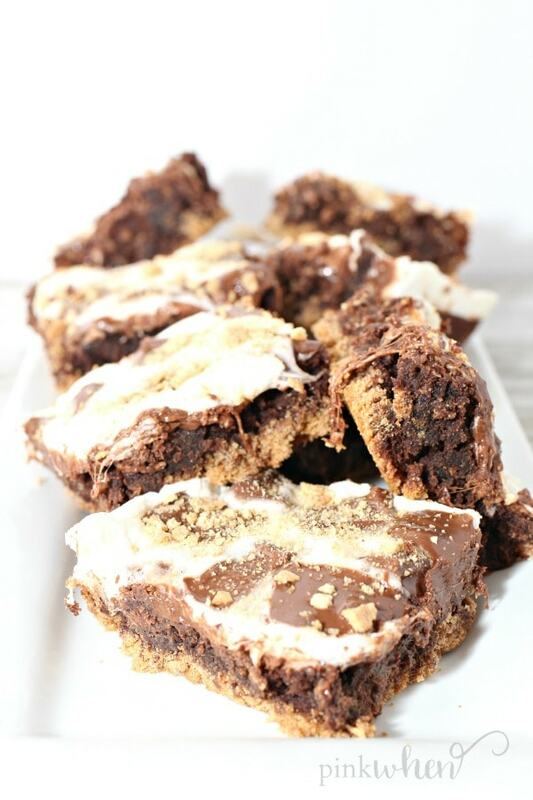 You won’t want to make brownies any other way after you make these delicious smores brownies. 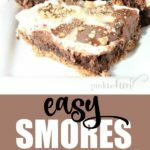 If you loved this easy brownie recipe, and you like smores, check out this list of over 50 Smores Dessert recipes. Simple Easy Brownie Recipe made with your favorite brownie mix! Preheat oven according to instructions on brownie mix. In a large mixing bowl, prepare your brownie mix as instructed on the box. In a food processor, finely grade graham crackers. Add melted butter (3 tablespoons at a time) until crumbs are moist. Do not make them wet! Press graham cracker crust into the bottom of a GREASED 8x8 metal baking pan. Spread brownie batter gently on top. Ten minutes prior to end baking time, pull pan from oven and top with marshmallows and Hershey bars. Place back in the oven for remaining baking time. You may add more Hershey bars at this time if you wish. These brownies turned out great!